is uniquely qualified to handle your property. Our team of Real Estate Professionals are well trained and highly motivated. and Mississippi and ready to work for you. Property Developers, and 1031 Exchange Property Locators. "Looking for that perfect piece of land with plenty of wildlife?" helped many of your neighbors find that IDEAL piece of property. 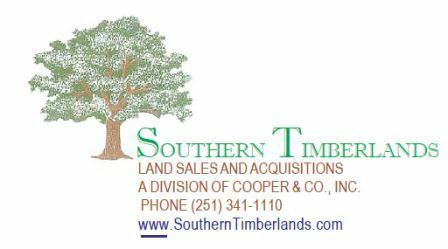 SOUTHERN TIMBERLANDS is the Real Estate Company for you! Jackson, Harrison, George & Greene County, Mississippi. "If you don't see what you are looking for we will find it for you."